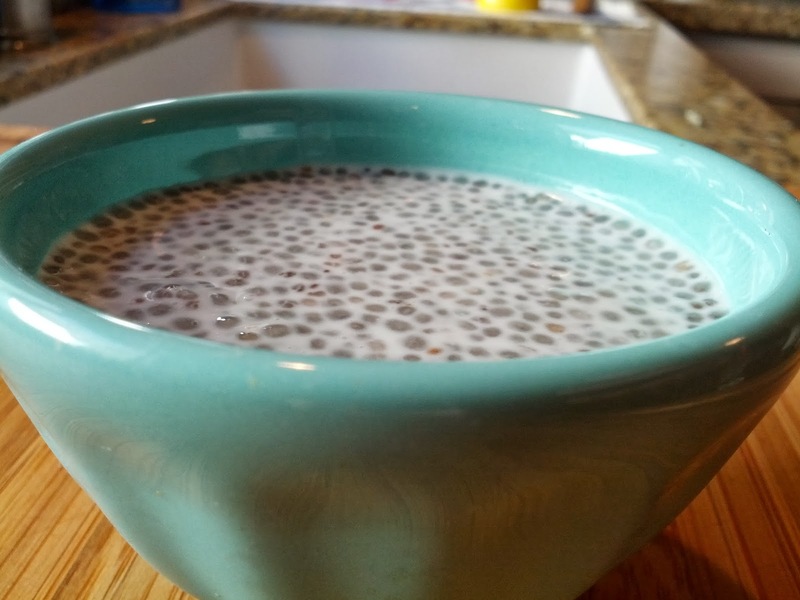 I recently picked up a big bag of chia seeds, thinking it would be an easy way to add some fiber and nutrients to our diet (and Henny's runnier baby foods). 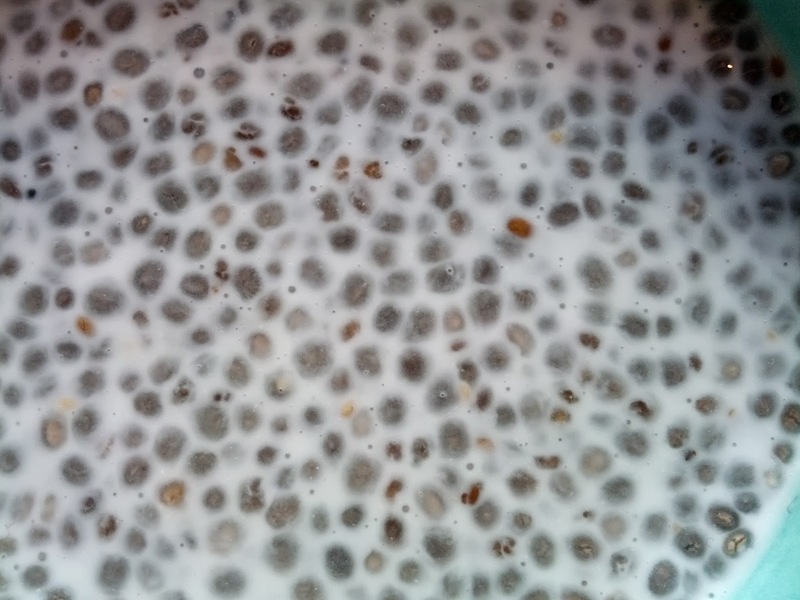 I knew that when chia seeds are soaked in liquid, they absorb it and form a type of gel, thickening whatever liquid they're in. 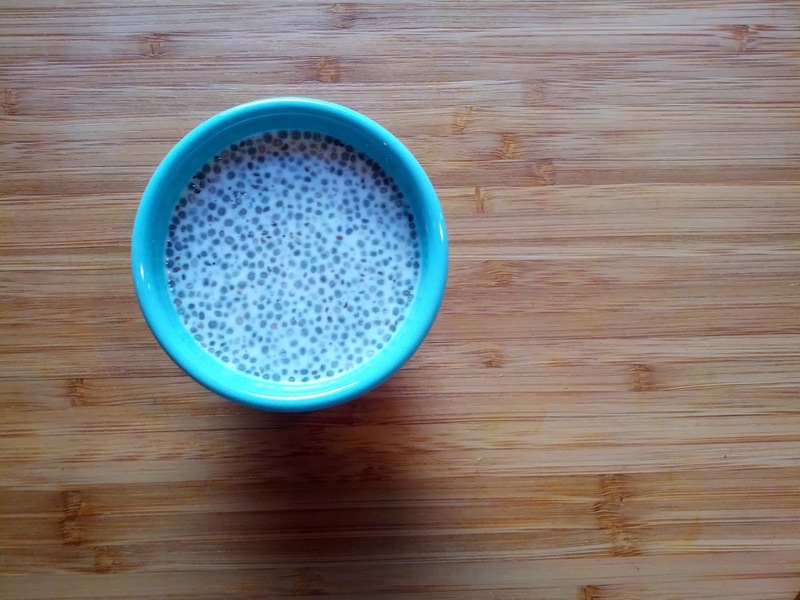 I decided to try making a chia seed pudding, and it's SO easy it's criminal. 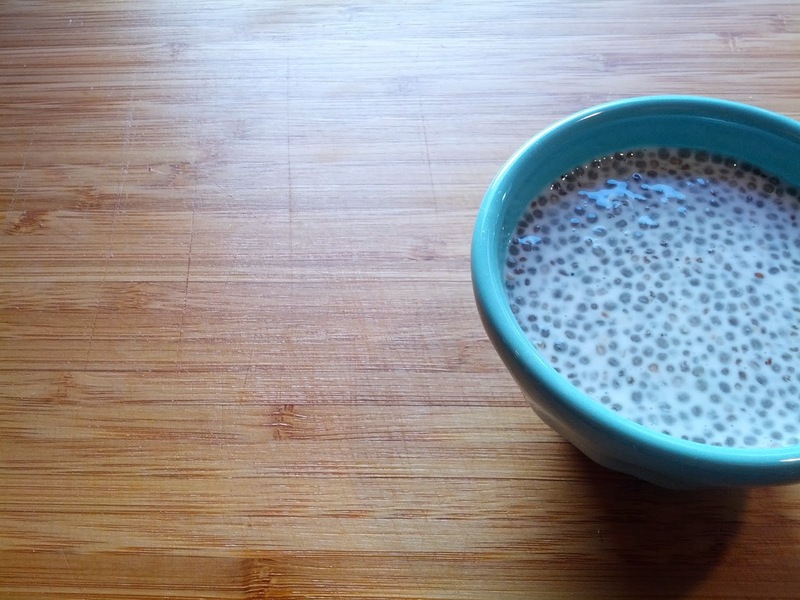 For every cup of liquid, add three tablespoons of chia seeds. You'll notice the gel starting to form within five or ten minutes of combining, but you'll want to let it soak for several hours (overnight would be best) for best results. This version is vegan and totally delicious! 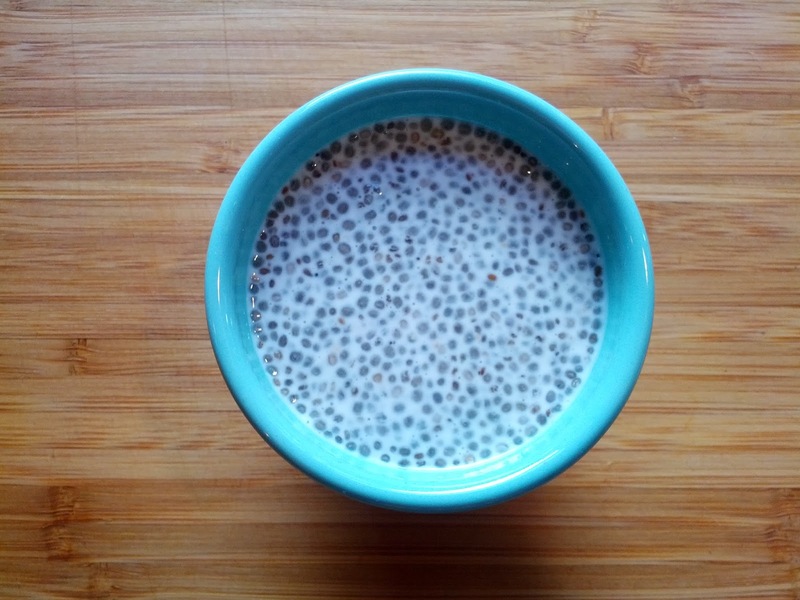 The texture is similar to tapioca, but a little more al dente, for lack of a better term. Combine all ingredients. 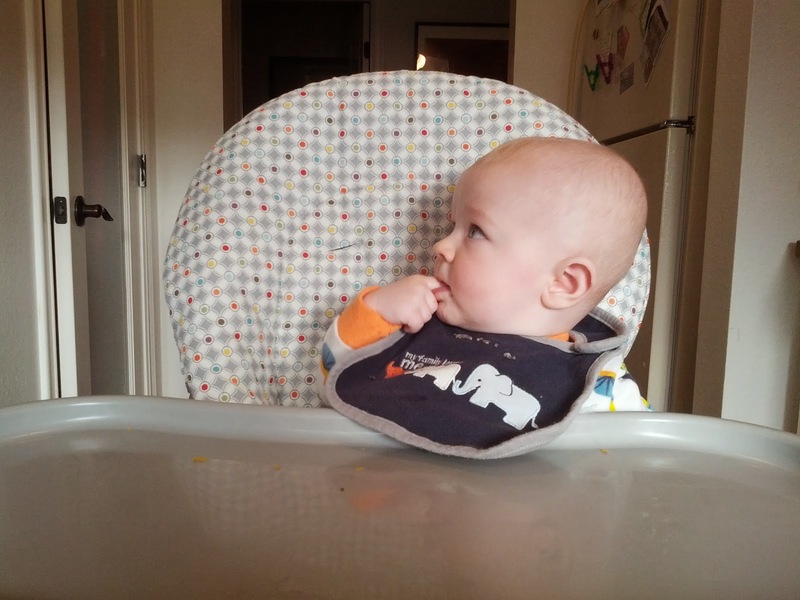 Let sit for 20 minutes, stirring every five minutes to make sure all seeds are incorporated. Allow to soak for a minimum of 4 hours in the refrigerator. *One bonus thing about this recipe is that all of the ingredients have a long shelf life and do not require refrigeration (except coconut milk after it's been opened). 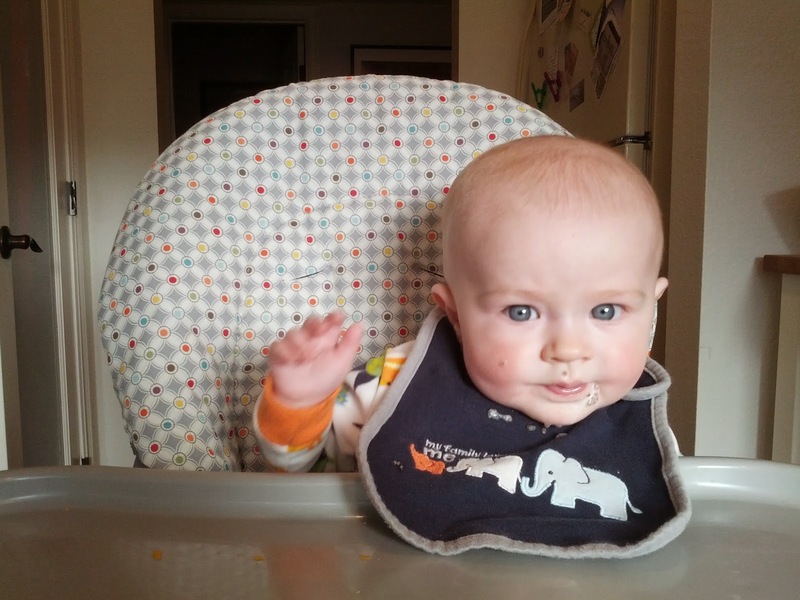 Food storage fist bump! 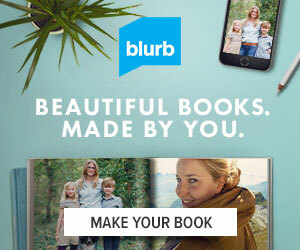 You could obviously try a ton of different flavors and sweetness levels. 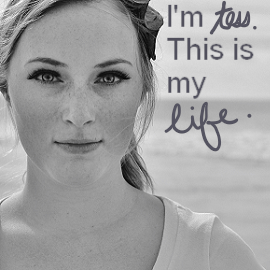 I used unsweetened coconut milk and then used pure maple syrup for both flavor and sweetness. But you could use sweetened coconut milk or almond milk (or cow's milk), or add vanilla, cocoa powder, or cinnamon, or sweeten it with honey or brown sugar. And then the toppings! Berries, nuts, orange zest, chocolate shavings, citrus wedges, cinnamon... the possibilities go on. 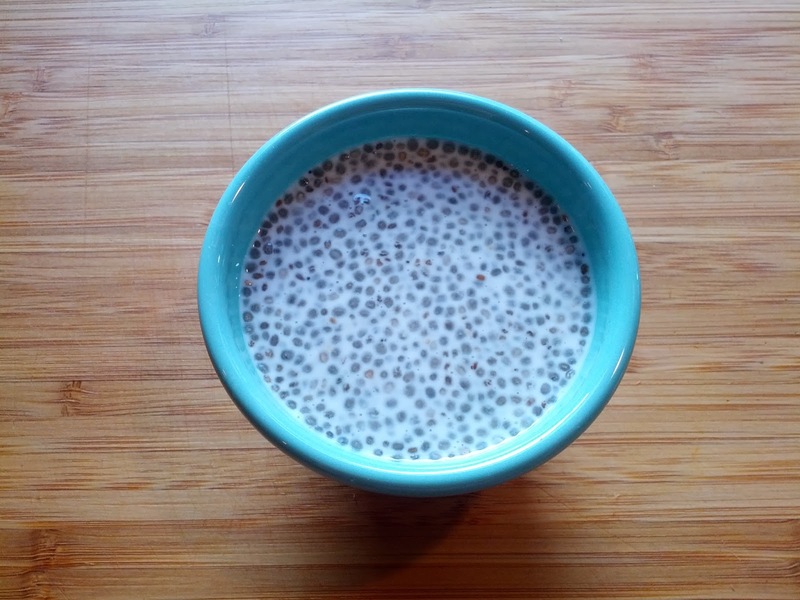 This being my first go with chia seed pudding, I left it the way it was, and it was delicious. It tastes like a perfect breakfast food. I gave a couple of spoonfuls to Henny, and despite his face in the pictures, he actually liked it a lot. 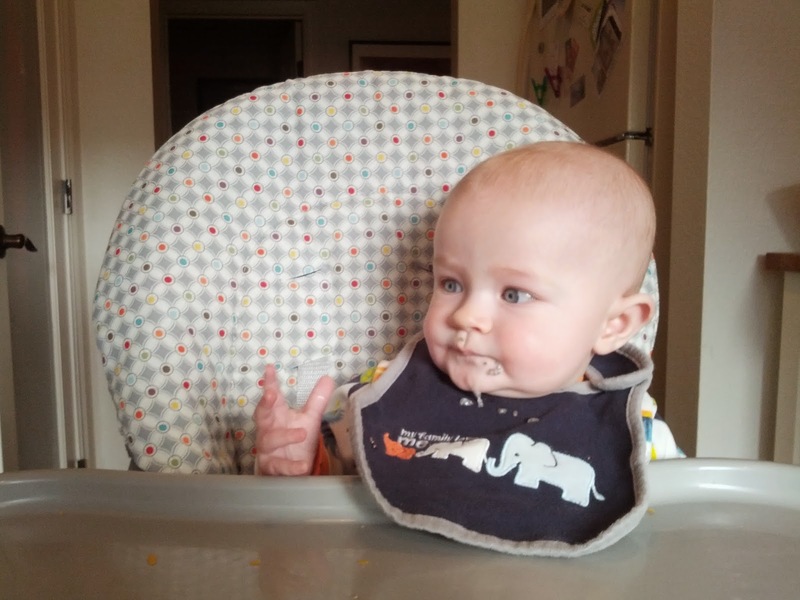 I think the bumpy texture was a little hard for him to grasp, because he kept sticking his fingers in his mouth. We'll definitely be making this again and trying some different flavor combinations!